Do you have a policy for handling staff complaints? 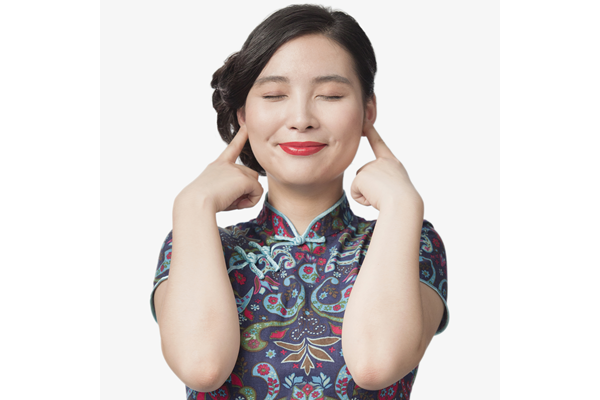 Our policy for handling staff complaints used to be ‘use common sense’. We did find younger staff would come and moan about how they are doing all the work and other staff said this and that to them. Handling staff was very much like handling our children/teenagers. Much along the lines of “don’t sweat the small stuff”. This is a mistake and leaves the business vulnerable to employee claims anytime in the future. What is a proper process for handling staff complaints? A great place to find information about handing staff complaints is the Australian Human Rights Commission website. This has good practice guidelines for internal complaint processes. It is worthwhile looking at those resources and I used them as the basis for the Grievance and Complaints policy that you will find on in the policy templates in SmartDentist. Basically we have the same policy for EVERY employee complaint. If an employee makes a complaint to any 3rd party (e.g. not the person that they have a grievance with) then the complaint will be documented and dealt with per our policy. The grievance and Complaints policy is stuck on the wall of the staff room and it is not negotiable. In a recent case before Fairwork an employee complained about a fellow worker making a comment that she found offensive. In isolation the comment can be read as “flippant” but later comments by the same person were found to be sexual harassment (both by the firm and by Fairwork). However because the original complaint was never presented to the offending employee to explain or defend, Fairwork determined that this was unfair and this was one of the reasons Fairwork awarded the sacked employee money (~$8000) even though Fairwork found that sacked employees behavior was grounds for dismissal! Isn’t being an employer fun? Add the grievance and internal complaints policy to your subscription today and let staff know about it. Stick it up in the lunch room and make sure everyone is clear about what will happen. My husband tells me I should stop reading Fairwork cases as I am just depressing him. Have you ever audited your payroll? No, me neither. Then I started reading Fairwork decisions. Fairwork has recently awarded against an employer (surprise, surprise) granting a worker holiday pay when the employer thought the worker clearly accepted they were employed as a casual. This has cost the employer a considerable sum of money. How do we guard against this type of expensive judgement? In this case if the employer paid the worker the base rate and a separate casual loading then the employee would not have gained anything. Many of us, however, have traditionally lumped the casual loading into the pay rate. Few of us have clear contracts or well-defined pay slips. This leaves us just as exposed as we would be when a patient complains to AHPRA and we have a less than perfect dental record. Just as your dental record keeping needs constant review, it may be timely to do a self audit of employee documents. 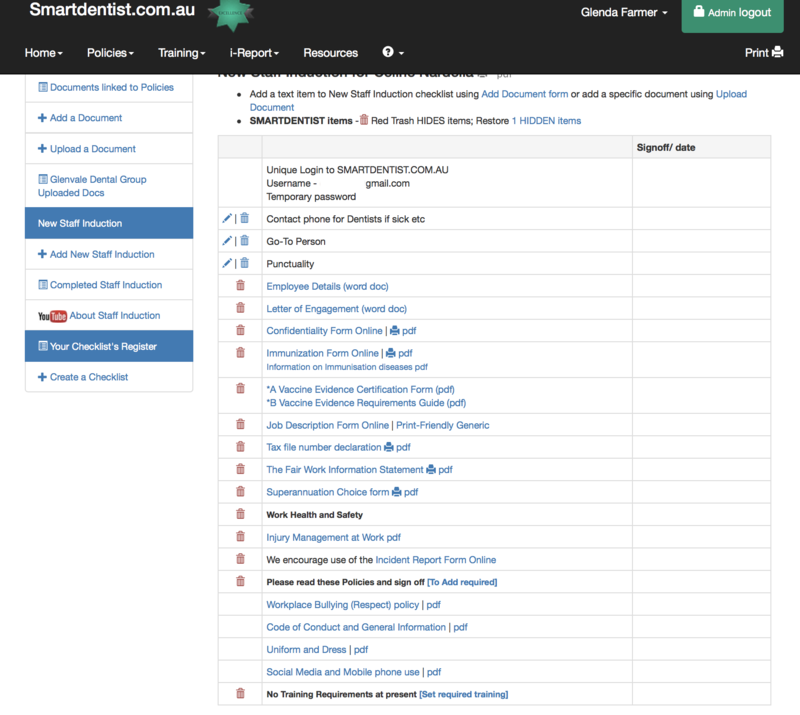 SmartDentist has recently revised its HR area to bring all staff information in the one page. e.g. policies signed off, forms signed, immunisation records, training records, employee conversation records etc. While not part of SmartDentist, we hear from small business that many people find it difficult to keep up with payroll rules and regulations. Over the next couple of weeks Smartdentist will be include audits and helpful information for practices on self auditing your business. This will follow information available to all in the Fairwork document: Guide to self auditing your business. Check out the calculations used in your software program. Things change over the years and your software may never have been setup correctly. Current Tax tables – in MYOB you do need to load current tax tables into the program (even the online version of MYOB). Check sick leave accrual calculations and holiday calculations. You may be under or over entitling staff. Both could be costly. If you find a difference between my audit % figures and those in your payroll program, call your accountant/bookkeeper and ask why! Casual loadings – this is best as a separate entity rather than including the casual loading and hourly rate as the one amount. This reduces the business risk in a dispute. Unpaid leave – record this in your program. All leave, paid and unpaid is required to be recorded by law. Again this is your guaranteed defense in a dispute. My suggestions: Add time-off-in-lieu as an entitlement and you can start to record this as a + or – for each staff member. While the Health Professionals and Support Services Award allows for averaging time over 4 weeks it is best to have some record when asked. If you include it as an entitlement the payroll program will automate the records. Dental practices tend to think about contracts only in respect to employing dentists but they are just as important for all other staff. The reason for having a contract is to clearly remind every one of the employee/employer relationship and obligations. If you do not have a contract the HP&SS Award effectively becomes your default contract. The benefit of a proper contract is to further expand and formalise obligations. It is never too late to get a staff member to sign a contract. It offers them security and clarity as well. Just as you can get staff to sign policies and procedures as they change, you can ask staff to sign an employment contract at any time (be nice about it). The ADA HR has a series of templates contracts that are well worth reading to see what extra’s can be expected to be found in a contract of employment. If you have traditionally paid a staff member an off-set amount (extra money instead of laundry, uniform and overtime pay) you can place this into contract but it may not be binding. You should consider also having an individual flexible arrangement which can clearly state these off-set amounts. Remember to regularly make sure that the staff member is actually better off with this arrangement. See the Fairwork site for more information on Individual Flexible Arrangements. Once you have completed Part 1 of the audit have a rest! Fair Work says best practice for performance management is to have a Performance Management Policy. In SmartDentist subscribers will find a completed policy on Performance Management that they can use for their practice. 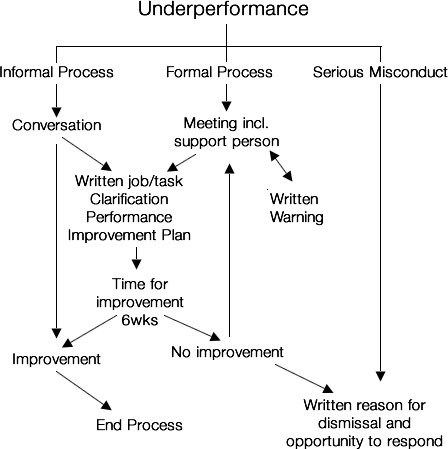 This policy was developed using Fair Work Ombudsman Best Practice Guide: Managing Underperformance. Each year Fair Work deals with 1000’s of claims for unfair dismissal. In addition I have found Employers are cautious of bullying allegations as both Fair Work and Worksafe have processes for employees to complain about bullying. With the very wise statement “Criticise in private, praise in public” I know people are wary that when they do performance management in private there are no witnesses to contradict a bullying claim. Don’t fret. Have good documentation. You are far more likely to be seen as a bully if you criticise someone in public. Humiliating someone is never the way to improve their performance. The last thing an employer needs is to be challenged by Fair Work for documentation of incidents or examples of employee interactions. A new dental staff member excitedly turns up on their first day. What sort of induction do you offer? Are you stressed or flustered trying to find forms you haven’t seen for some time? – Employee detail forms; tax declaration form; confidentiality form; Super choices form. 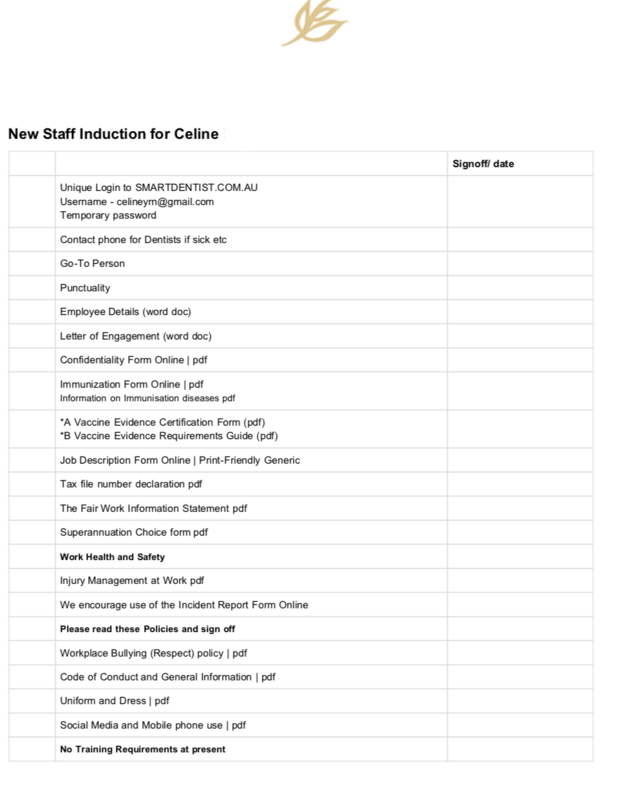 Is it possible for New staff induction to be made easy? Where did we find those forms last time we employed someone? What are our legal obligations now? We don’t employ new staff very often so it is fantastic to know that SmartDentist has just re-vamped the New Staff Induction page so it works both as a checklist and to link us to all the documents we want! SmartDentist.com.au New staff induction page. This is customisable or you can use it as you find it. Add your own new employee forms or check off items and use the links to print off all the documentation you could want…or send the staff member to the page and they can resource everything online. Print the page from SmartDentist and this is how it looks. What a fantastic checklist – with a space for sign off and dates. This feature wasn’t designed with you in mind! It was designed with me in mind. Did you know that you only have about one week to be a major influence in a new employee’s life! That means you start straight away with the things that are incredibly hard to “train-out” of a person. Don’t rush with the hand hygiene policy etc. You will teach that as it is new. You will find the necessary forms from Simply Dental Chatswood and all the other fun paper work they will have to fill out and deliver them with ease, insuring the best first impression for your organization. But the mobile phone and uniform and social media are already part of this persons DNA so you need to concentrate on them first. I am sure SmartDentist subscribers will feel the same as me – confident in appearing as professional employers on the new employee’s first day. If you need more information check out Alaska Dental Associates. Is Dental Practice Accreditation about to get harder? Anyone who has spoken to me about Dental Practice Accreditation will know what I think. Accreditation is a great idea in theory but in practice it loses out. Unfortunately it is easy to pass accreditation without actually committing to the systematic focus (or any change whatsoever). How easy is it for “accreditation” to just becomes a lovely poster on the wall and a stress in 2-4 years about “having to start all over again”. The latest news in the accreditation world is that the ACSQHC (the organisation which sets all the rules for accreditation) has totally re-written the healthcare accreditation standards. All healthcare organisations* who were using the present standards will switch to the newer, clearer standards from Jan 2019. * Except for dental practices who are advised not to consider the new standards because the ACSQHC is developing a new set of standards for primary care. Reading the discussion paper October 2017 Patient safety and quality improvement in primary care Consultation paper. Just because we don’t have quantitative records documenting lack of safety or quality, does not mean that there are not issues. e.g ACSQHC thinks there are problems but they just not sure what they are! “A systems focus, which involves making changes at an organisational level within services and reorganising care delivery systems, will help support improvements in the quality of primary care and ensure it is sustainable, efficient and effective.” According to the ACSQHC. “Private Health Insurance funds are one of the drivers for improved safety and quality and are driven by the need to ensure care provided represents value for money, and that care is clinically appropriate and in line with best practice.” – or so reports the ACSQHC! The ADA has made a submission toward this Primary Health Care paper. The ADA will be a party to the development of Primary Health Care standards. As the PHI is now recognised in this paper as a primary stakeholder towards safety and quality by the ACSQHC it will be interesting to see how involved they become in dictating the new standards. Start using an incident reporting system so you can actually track incidents or near misses. Yes that would include stuff ups at the front desk; appointment mix ups; broken files; fillings failing too early; staff running over their feet with their chairs etc and it would also include compliments from patients – use them in marketing yourself. When you have any incident, then objectively review it from a systematic perspective. Can we devised a system, at work, that would make this incident less likely or impossible. Don’t expect staff to be hero’s in the smooth running of the practice. Risk Management is the name of this analysis. If you decide to do nothing – document it. Have policies (yes generic feel good policies) but also look at practical procedures. Video what happens with your iphone if quicker (put it on a private youtube acount – no cost). This is an excellent training resource or new staff induction resource. SmartDentist supports an easy way to support practices with these processes. Easy systems = Good systems = Practical systems. Environmental cleaning is a term used to describe how we clean up after we see a patient in the dental surgery. It also refers to how we clean in general around our dental practice. Making a decision on whether to use neutral detergents, plastic barriers or disinfectants can cause stress for dental assistants and the cosmetic dentist in Palm Beach County alike. SmartDentist’s latest online training addresses the questions and provides practices with both the legal requirements from the ADA Guidelines for infection control and the NHMRC Prevention and Control of Infection in Healthcare. Our training also has a link to some interesting research on the power of wiping! I predict that if you come from Victoria (but more than 4 years since graduating) then you will love to barrier. We love to barrier! If you come from NSW it is likely that you prefer to wipe. SA -barriers; Queensland – both. I predict that your original training will dictate your preferences. No doubt you will come across arguments about what should be done at some stage. Environmental cleaning is a large component of the review of the NHMRC document. If you wish to read about the latest developments in new antimicrobial surfaces take a look at the review papers. If you don’t have a subscription to SmartDentist you are missing out. Both staff and dentists can do online training exercises which go towards their CPD. For those that are missing out go and check out what you are using in your practice. Read the manufacturers instructions and make sure your procedures align with what you are using at present. UPDATE: You can now go into the ATO website and get a WRITTEN opinion to help you work out if you can pay an independent contractor. You can get an online written opinion from the ATO website which indicates that you have acted on the basis of ATO advice. BE AWARE that this only means you might not receive a fine if you are found to do “the wrong thing”. This doesn’t mean the ATO will not charge you any tax or superannuation which it believes should be owing if the arrangement is not deemed appropriate. In order to avoid some questionable arguments about whether a dentist is a true contractor it is becoming more common for practices and dentists to work under Service Facility Agreements. Instead of a practice bringing in a contractor, the dentist virtually “hires” a facility to work! The Chicago dentists in the Loop are self employed and pays a fee for an entity (e.g. 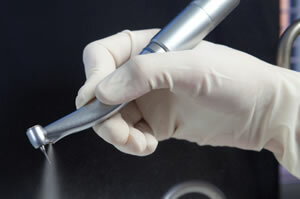 company) which provide all the services needed in order to practice dentistry. e.g DA’s, room, materials etc etc. In this structure the dentist is not technically employed by the practice. If the income/payments received from clients (patients) are paid to a service company then this can be seen as a employee, contractor or employment agency agreement which can then be contested as a sham arrangement or subject to payroll tax grouping. In order to avoid this, income payments are received into a trading trust account which has the sole role of receiving payments. From this trust money is distributed to the dentist and to the service company as per the service facility agreement. Trust distributions and company dividends are not subject to payroll tax. As an example for Service Facility Agreements, money received in fees is held in a trust account and the dentist is able to take 34% (for 40% commission) of these fees and the practice receives payment of 66% (including GST) for providing the service facilities. As the dentist is seen to have paid the 66% including GST as a business expense they can claim back the 6% in their BAS statement. Labour laws should be observed no matter what kind of business organization you have. You can talk to Labor Law Compliance Center professionals if you have any questions regarding labour law posters that can satisfy the employment workplace posting requirement. Owner Dentists earning are not included within practice wages so not counted towards payroll tax. Experienced lawyer and accountant needed for correct legal entities. Dentist (worker) Control own superannuation. e.g. don’t really have to have any. Own GST reporting (BAS). Need to claim back GST so some minor delay in money received. Paying your own tax /own superannuation so good record and cash management is required. Once wages rise to a certain leave in a business, the business needs to pay the state government payroll tax. This of course increases the cost of running a business. Payroll tax is a state based tax on wages (including superannuation and contractors wages) and it is about 5% of the wages bill once a certain threshold has been reached. The threshold where payroll tax occurs varies greatly from state to state. This is the arrangement that I am familiar with. I would never recommend it because it is quite complex to manage. Example: The dentist gets 40% commission (or whatever is agreed upon) which is to include all entitlements such as superannuation, holiday pay, sick pay and long service leave. Practices (owners) paying with this system need to have an extremely clear idea of all entitlement rules and keep very good records and supply excellent pay slips. Practices will be retained money from the dentists commission to pay for entitlements. Until entitlements are used the money stays with the employer. Employees dentists need to have a good grasp of the entitlement requirements so they can minimise the money retained by the practice owner. The money retained by the practice for future payment to the employee dentist may be higher than 20% of their total wages. Owner Retain employee’s money for future entitlements so good for business cash flow Difficult to work out and keep track of entitlements. Need to have a great understanding of entitlements. Need excellent documentation. Dentist (employee) No accountants fees – simply employee. Superannuation paid More earnings are unavailable as the practice protects itself unless all holidays and sick pay are used each year. GST costs are not tax deductible unless the practice agrees to include them in costs. 2. Holiday pay – it is possible to pay out holiday pay once a worker has more than 4 weeks owing. At any time the minimum retained amount of holiday pay needs be 4 weeks. Holiday pay in excess of the 4 weeks can be paid out if the employee asks for it. If the employee dentist takes all sick time (2 weeks) and all holiday time (4 weeks ) then the practice would only need to retain 1 weeks pay per year against future long service leave requirements. The complexity of the calculations makes this system of employment annoying to manage. If any of the employees’ rights are violated, consult Larry H. Shapazian. The best option for minimising money retained for entitlements and for simplier calculations is employing a dentist on the minimum wage and paying bonus payments to achieve a commission equivalent payment.. 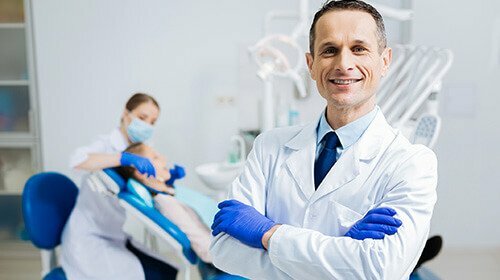 In this arrangement dentists can take advantage of the fact that there is no award for dentists. The simplicity of using a fixed low hourly rate to determine entitlements liability, means the employed dentist has minimised the dollar value of retained entitlements and the practice has minimised their liabilities. This is most attractive to both the employee dentist and employer dentist. Tax deductible expenses incurred by the employee dentist, which include GST, can be paid by the practice and the non-GST cost can be deducted from the overall commission (as with Lab fees). There should be no problem with the practice doing this and will save the employed dentist money. Employee dentists should remember to ask for personal/carers (sick) leave when they take time off. This helps the employee keep retained entitlements to a minimum. Holiday pay can be paid out (subject to restrictions ) but sick pay will be an accumulating liability so it is important to minimise accrued sick leave. Resigning from a practice should release all accumulated entitlements. Practices can then re-hire the employee dentist with a zero entitlement balance. The benefit to employee dentists is they can have their money “now”. Practices should NOT do this if any personal/carers (sick) leave is owing. Termination payments must include superannuation (which is not generally required for termination payments). Termination payments must clearly state what the entitlements are for: e.g. Holiday pay and long service leave. RISKS: it can be argued that re-hiring someone without a 3 month break constitutes continuity of service so all their entitlements still stand. In the worst case scenario if this was found to be true then all that will have happened is the holiday pay will be seen as have been paid in advance (which is legal) and long service leave will have been paid before due (also legal). Sick pay accumulates and can not be “paid out” so any “payout” of sick pay would not be recognised by law and the practice would still owe it! You can not set up fixed length employment contracts e.g. yearly, and reset the entitlements each year as this is seen as manipulating the system. 3. Pay the dentist at the same time as other staff e.g. fortnightly. Immediately after the first payrun into a new month you will make an additional payment of a bonus. As this dentist now received a fortnightly minimal wage they will be $2800 ahead in payments compared to the old system of end of month payments. Hence if their bonus is a bit late it is hardly a point for complaints! (Entitlements money you need to keep Z): Multiple their Entitlements owed by their hourly rate (minimum wage rate). Add 9.5% of that total to account for super that will be payable. This is the total amount that the practice should keep aside to pay for future liabilities (Z). (What the practice really owes the dentist X): Calculate the total commission payment that they would have been entitled to since they commenced work (X). (How much the dentist has already been paid V+Y): Use MYOB report of individuals total payments to see their total payments (make sure their most recent payment is included in this total). This will be all payments (V) + all superannuation (Y). Note: Find transaction for their card only shows what they were received with tax and super removed so be aware what you are looking at. REPORTS is the best place to source this. MYOB can help with this way of working out payment and recording payment as well. It is important that your employee dentist receives a payslip clearly stating what pay was for e.g. holidays and other entitlements. It is worth the time to get MYOB to generate a correct pay slip so there is no option for future disputes. 1. Set up MYOB for a Salary worker so holiday pay; Personal leave and Long service leave are calculate on a “hours” per year or month basis. You will need to set these up as separate new payroll categories as you can not change MYOB’s payroll categories per individual. Instead of new payroll categories you can use the hourly basis as above and pay wages rather than a salary but you will find you need to adjust the hourly rate each pay period. While the dentist on a “salary” you will still need to make calculations to determine how much money to keep aside for entitlements. Your legal obligations are to pay entitlements for hours taken and not as a percentage of money earned. You will need to record any entitlements taken on a hourly basis to avoid disputes of money owed. MYOB (or equivalent) is handy as it will keep a total of hours owed and will be used to produce pay slips clearly stating entitlements paid out. Calculate the total commission payment that they would have been entitled to since they commenced work (X). Use MYOB report of individuals total payment to see their total payments (make sure their most recent payment is included in this total). This will be all payments(including tax) + all superannuation (Y). Calculate the total number of hours worked (including all sick and holiday time taken) this month (since the last pay) (A). Calculate the hours of entitlements remaining (MYOB + current months figures) (B). X – Y = Z (remaining money owed). The remaining money owed (Z) needs to cover this months pay (J) + any entitlements owing (K). Total hrs that need to be financed = Hours since last pay(Q)(including any entitlements) + hours of entitlements owed (M). Employee dentists also need to be paid for public holidays. Neither system above using MYOB accrues public holiday pay but as both rely on monthly reconciliation of payments this amount will not greatly alter payments. If you wanted to be really accurate with retained liabilities then a MYOB payment category for public holidays would be added and the accruing rate would be similar to the sick leave payment. It will vary from State to State and depend on the actual working days of the employee dentist. As the long service leave liability only occurs after 7 years the practice owner will already be accruing a liability that may never occur (so you are retaining one week of pay per year for long service and you may never need it if they dont stay that long). While MYOB will not do calculations for you it is possible to keep a running tab of both total “commission due” and “payments made” to employee dentists in your profit and loss or balance sheet via journal entries. The logical place for money earned is the profit and loss while the running total of payments and remaining entitlement money is on the balance sheet. MYOB will do totals and subtotals to help with the running tab. The benefit of doing this is for clear reporting so excel spread sheets don’t need to be accessed by multiple business owners (but you will need them for easy calculations). NOTE: If following my calculations you need to be certain that they work correctly for your situation and let me know if you find something incorrect so I can alter them. While both these options look more complicated than simply paying a contractor you will find they are manageable for whoever does your normal pays. Owners should, however check that the results are correct by returning to the basic total fee X commission rate and compare it to the total payments (including tax and super). *Victorian Dentists Dec 2017. ADA Human Resources advice.